Hearts aim to build a new 7,000-seat main stand at Tynecastle, which will increase the stadium capacity to over 20,000. 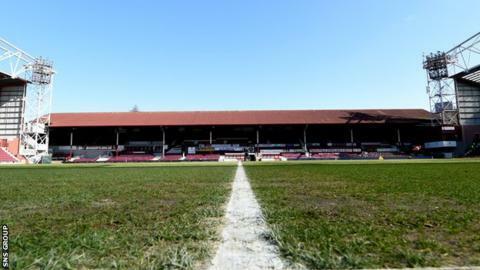 The Scottish Premiership club announced their intention to redevelop the ground in December. And now they have submitted a pre-application notice to Edinburgh City Council before an eight-week public consultation process. The plans include space for a club shop and ticket office. The current main stand has 4720 seats and has changed little since it was built in 1914, with some views obstructed by pillars. The three other stands at Tynecastle were constructed between 1994 and 1997.